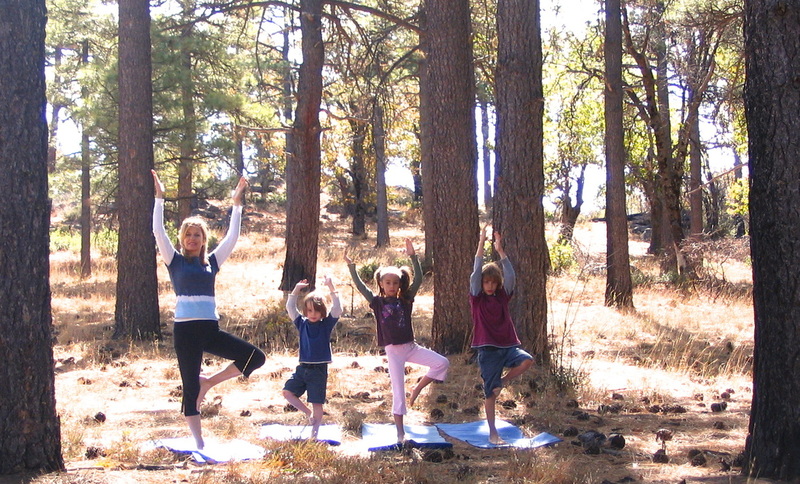 ﻿Family Yoga gives parents and children a perfect opportunity to enjoy yoga together. Caregivers, grandparents, and other family members are welcome, too! Classes are geared towards children ages 5 – 10, younger and older siblings may attend at their parents’ discretion. We currently offer family yoga classes in partnership with Move Fitness & Dance located at 8674 La Mesa Blvd., La Mesa 91942. Classes are held once a month. You may schedule a private family yoga class at your home. Get ready to experience a yoga adventure together! In our fun-filled family yoga classes participants move through a variety of poses, while traveling to exciting new places in their imagination. Children delight in playing with their parents as cats and dogs, monkeys and donkeys, lions and tigers, and so much more. Participants enjoy togetherness with partner poses and games. The class ends with a guided relaxation, so that families may unwind side by side.